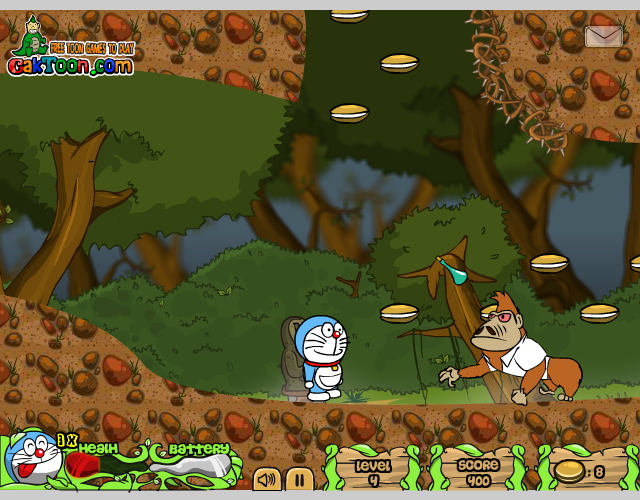 "Play as Doraemon to rescue Nobita, Battle gorillas!" 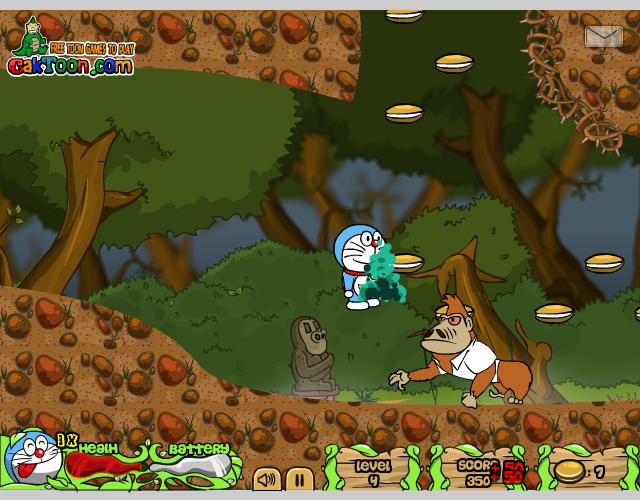 Doraemon and the King Kong is a little platformer that takes things back to basics but it really works, it’s reminiscent of fun platforms from 10 or so years ago, it’s bright colors and the music is nice maybe a little repetitive but perfectly fitting for the game and kind of relaxing. 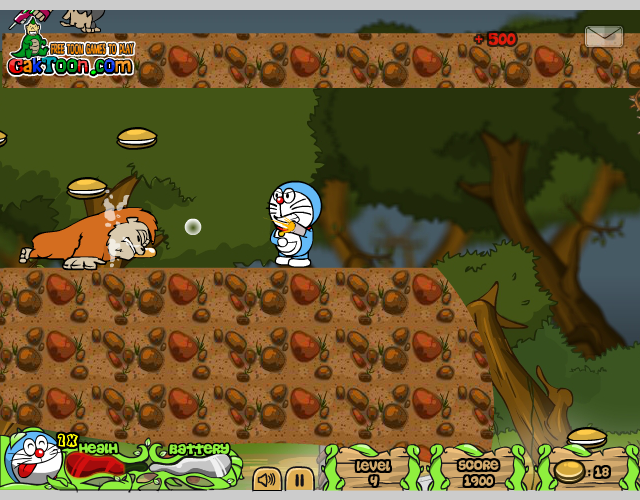 The cartoon graphics are nice and the little noise Doraemon makes when he gets an injury is kind of cute. 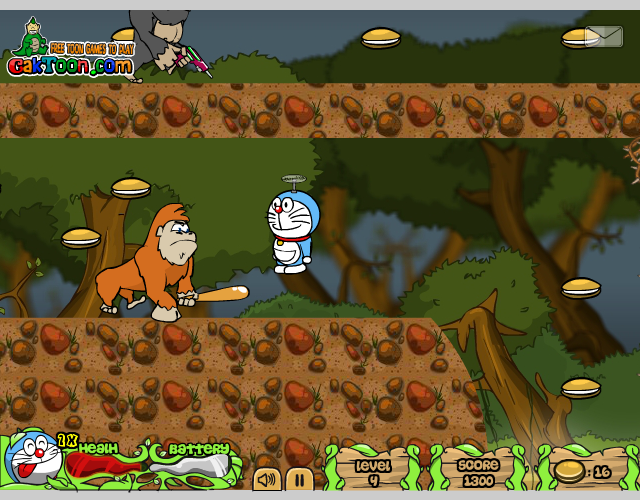 Doraemon has the ability to fly using his helicopter hat but it has a bettery so you must be careful not to run out of battery and fall in an inconvenient place, he also faces many types of King Kong’s some with clubs, some with syringes and some even with laser guns but even with shooting these and the various other enemies with bubbles the game does not feel violent in anyway, it’s just fun and nice and in a way therapeutic a nice break from all the serious violent games around at the moment. 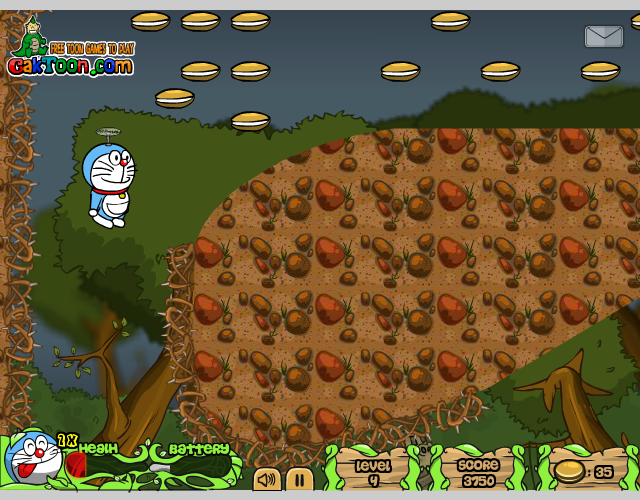 Doraemon must also collect things that look a bit like hamburgers or sandwiches to get more points, Doraemon and the King Kong game is a lot of fun to play and with eight levels each getting a little harder it’s a good amount of game considering that it is a totally free download. 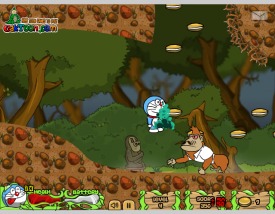 It may not be a game you will play time and time again or find particularly challenging once you have completed it but there is no denying it’s a fun cute little platformer and suitable for people of all ages.